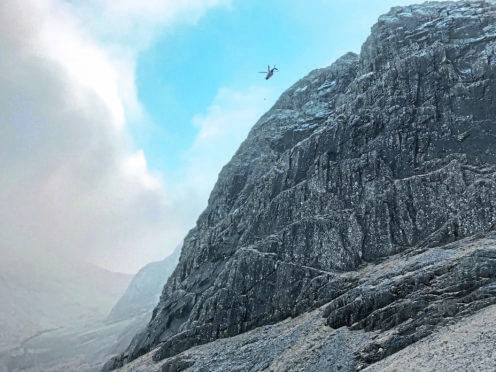 Coastguard helicopter in operation on Ben Nevis. The Bristol University student who died in a fall on Ben Nevis on New Year’s Day was from Germany. The 21-year-old died after falling 500 feet. She was on the Carn Dearg Buttress ‘ledge route’ on the mountain’s north face with three others at the time. The incident was reported to police at around 10.40am. The woman’s next of kin have been updated. Sergeant Michael Bell said: “Our thoughts are with the woman’s friends and family at this tragic time.